The keen eye of a Windsor Police offier led to the arrest of a robbery suspect. Police say that on Saturday, April 13th, 2019 at approximately 9:30am, they were called to a convenience store located in the 7200 block of Wyandotte Street East for a report of a robbery. They say that a male suspect entered the store requesting a carton of cigarettes. The male took the carton without paying and began exiting the store. When the male was questioned about paying for the merchandise by an employee, he brandished a knife as he was exiting the store. Through investigation a description of the suspect was obtained. On Sunday, April 14th, 2019 at approximately 2:30pm, an officer observed a male in the 6700 block of Wyandotte Street East who matched the suspect description. The suspect became immediately combative with officers attempting to place him under arrest a taser was subsequently deployed. Police say that although the taser was initially effective, the suspect continued to resist officers attempt to place him in handcuffs. Officers were able to secure the suspect in handcuffs and he was arrested. The suspect sustained minor injuries. 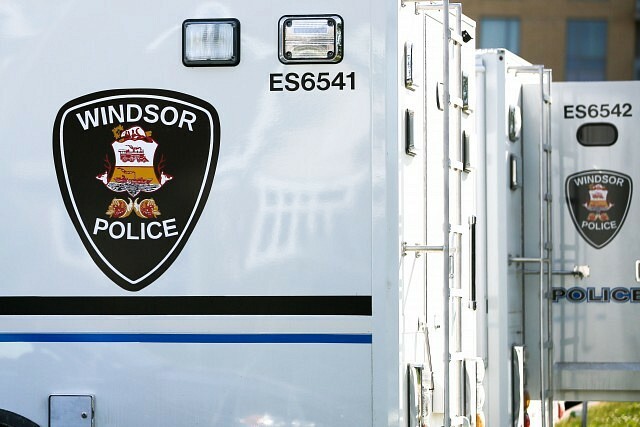 Aaron Gordon, a 36 year old male from Windsor, is facing charges including robbery, possession of a dangerous weapon and resist arrest.